You can order paczki by "Contact" for pickup in-store. Please let us know by the day before the pick-up. 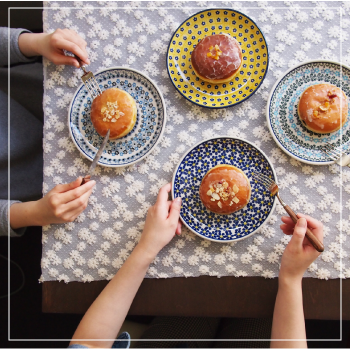 In case of large orders we can also deliver paczki or pierogi to your location around Tokyo. Please let us know details at least 1 week before the delivery date. COPYRIGHT © ポンチキヤ webshop ALL RIGHTS RESERVED.